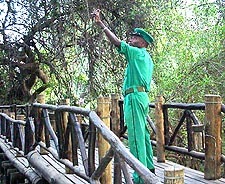 Safari Magic. 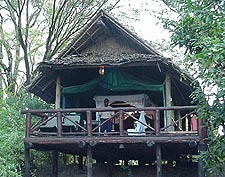 Intrepids Luxury Tented Camps in Kenya and Tanzania, East Africa. Intrepids Clubs are luxury tented camps -- permanent tents that transport civilization into the “bush”� and are a taste of what the aristocratic safari experience used to be. Few places combine convenient access to the bush with remote ambience, refined luxury and raw wilderness in one magical destination as does the Mara Intrepids Club. 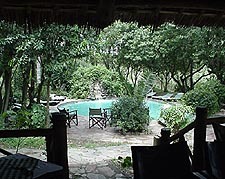 This is a world away from the tourist hordes who descend on the larger lodges in the reserve. The camp is 6 miles from its nearest neighbor and has everything to make you feel at home…in the wildest location on earth. The 30 tents are divided into 4 very private areas, each with its own elegant “mess tent”� and secluded riverside viewpoints. Guest tents present a picture of old world elegance, with giant four-poster beds and handsome mahogany furniture offset by modern en suite bathrooms and luxurious amenities. Internationally trained chefs prepare delectable al fresco dishes to order, all served with succulent salads, homemade breads, delightful desserts and the finest wines. 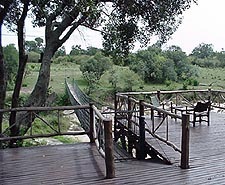 Dinner can be served beneath the riverside acacias or in a lookout tower where you may view a leopard as you dine. 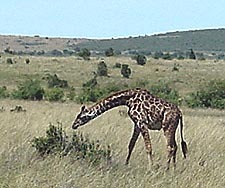 A host of unique activities can be arranged including exhilarating walking safaris and spectacular hilltop sundowners. Perched on the river banks in the soul-stirring wilderness of Samburu National Reserve, this remarkable camp offers a walk on one of Africa’s wildest sides, in the kind of comfort that makes you feel you have never left home. This refined retreat, with 27 tents, each with its own secluded deck and sweeping river views, is a refined retreat. The interiors are a picture of old world elegance…but as soon as you step outside you are back in wild Africa and face to face with rare species and spectacular bird life. The luxurious tents are spacious, most containing four poster beds, all with en suite bathrooms with showers, dual wash basins, having sockets, and many privacy amenities. 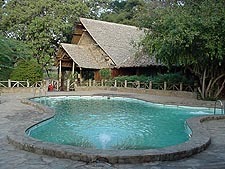 All public areas are palm thatched and, wherever possible, without walls as an accommodation to Samburu’s warm climate. Wide terraced decks overlooking the river highlight both the dining area and lounge. The camp is famous for the close relationship it enjoys with the local Samburu people and as our guest you will also be theirs. Our skilled Samburu guides provide walking wildlife and cultural safaris, sedate camel rides and even rafting when the river is in full flow. The finest prepared cuisine is served, replacing the traditional camp buffets, with a delectable range of wholesome al fresco dishes to accommodate any palate preference.